Flower girls, step forward. Any day can be a special occasion with this deceptively simple but so-very-charming top. 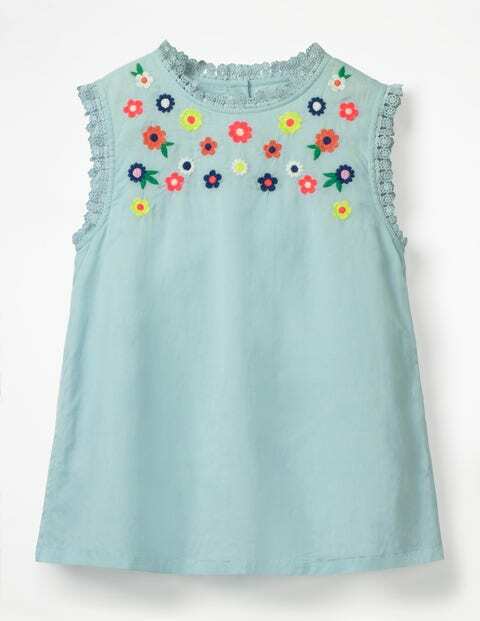 It features bright embroidered flowers and a delicate broderie trim. Made from swingy textured voile fabric and with buttons all down the back, this piece just needs a daisy-chain crown to set it off.